On March 7, 2018 (a year ago), I wrote a letter to then FEMA Administrator Brock Long on how we could build a culture of preparedness in America though civil defense. I never received any response. Fast forward to March 1, 2019 and Emergency Management Magazine published an article entitled: Report: We’ve Failed Miserably at Preparedness. Some of the initial comments I have heard from local EMs have been related to resources. “God knows I have been waiting 25 years for funding support.” Bad news and good news. So, below is my letter from a year ago. Below that are some related articles on civil defense I have written. FEMA: let’s try civil defense! Both of these goals are interrelated, and achievable. The purpose of this letter is to offer you a way forward to achieve them. I am a national expert on preparedness and for years have been advocating a return to local civil defense. It has been refreshing to hear you speak to Congress and the media about civil defense, local pre-disaster mitigation and the need to build a culture of preparedness in the United States. First, here are the two things that we are doing that haven’t worked. 1. Nobody has ever heard of Citizen Corps. Try this: Ask the next 10 citizens you meet on the street “do you know what Citizen Corps is?” They don’t know. The few who might attempt to answer will confuse Citizen Corps with the Peace Corps. Our attempt since 9/11/2001 to engage citizens on community preparedness has been a dismal failure. The failure is partly due to the fact that this has been a top-down approach – from FEMA to the citizens, John and Jane Smith. Yet, the Smiths have never heard of Citizen Corps and after 16 ½ years, we have not been able to reach them with our message. The Smiths in 2018 are still complacent and unprepared. 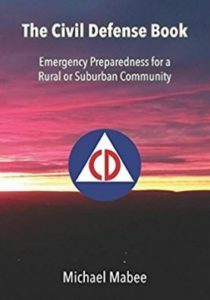 The only reason that I know about Citizen Corps is because I ran into it when I was researching community preparedness for the book I was writing. To the extent that anybody thinks that Citizen Corps is making our communities more prepared, it is not. A bureaucracy like Citizen Corps is not what we need to reach people. (If people don’t know what it is and can’t understand it, it is not going to work.) If we want to reach people, we need to change our paradigm to a bottom-up, grassroots approach to preparedness. 2. The flaw of the emergency management system. 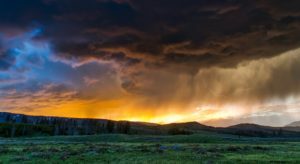 Our emergency management system has actually contributed to our lack of a culture of preparedness – not through lack of effort or dedication, but through a basic design flaw. We are not ready for a “worst case scenario” because we always rely on outside resources. In other words, somebody is going to rescue us. In this context, Hurricane Katrina and Hurricane Maria were actually “best-case scenarios” because in both cases, they were “regional” events where massive outside resources were available. There are 35,000 towns and cities in the United States. If a cyber-attack or a geomagnetic disturbance (GMD) took down the electric grid nationwide, right now we would have 35,000 towns and cities looking to their states and FEMA for resources. They would not be looking internally at their own civil defense plan because they don’t have one. This is what we need to fix. Something needs to get the attention of the 35,000 cities and towns so that they see the need to be prepared to be on their own for an extended period of time – and not, as is the case now, always put their hope on the cavalry’s arrival. Let’s back up and look at what does work. Every community in the U.S. has a fire department and has emergency medical services. In most communities, these are volunteer organizations.Communities are not “required” by the federal government to have these services – the communities feel that they need these services, so over the years they made sure that, in some way, they had them. Some of these are set up as non-profit organizations. Some are set up as governmental organizations. There is no one size fits all; rather, each community has developed a system and resources that worked for them. They may have been able to get grants to assist them with buying equipment, or for training, but ultimately, the people in the community did the work to develop the system. Nobody in DC set it up for them. A local civil defense organization needs to be developed the same way – from the bottom-up, based on the community’s needs. It can be a non-profit or a governmental organization. But the community needs to see that they need it and have some support in organizing and setting it up. This should be FEMA’s role – providing the leadership, and then the support for the locally executed efforts. In most places, the cost to get a lawyer or accountant to draft and file the papers to start a non-profit organization is under $1000. This is an incredible pre-disaster mitigation investment with a potential for massive return. If we can help communities to do this, it would likely be the best possible use of pre-disaster mitigation funds. As you testified to Congress on November 30, 2017 “it is important to point out that an optimal response and recovery process should be federally supported, state managed and locally executed.” I would also point out, that this should apply to pre-disaster mitigation – e.g., civil defense – as well. So how do we get the communities to want to set up a local civil defense organization? Getting our communities to see the need for civil defense. This new law gives us the authority and obligation to educate our local communities about the need for civil defense. FEMA should develop a community-level EMP/GMD local tabletop exercise (TTX). The purpose of this exercise is for the local government to see what would happen if their community was on its own for months or longer after a catastrophic failure of the national electric grid. No outside resources will be available to the town – what they have is what they have. This will prove very eye-opening for the majority of communities. This exercise is purposely designed to “fail” (because through failure, comes learning). It is designed to teach the local government, emergency managers, and citizens what would happen as time went on during a long-term outage. In order for communities to plan meaningful pre-disaster mitigation, they have to see the “reality” in the TTX of the horrible loss of life their community would encounter if they were unprepared. By thinking about the long term effects of a loss of the critical infrastructures during the TTX, the community will “experience” starvation, disease, collapse of their local medical system (if their community even had one), inability to protect citizens from crime and, ultimately, good people doing bad things as we saw in Katrina, Andrew and the 1977 New York blackout. After going through this exercise, it will be very clear to each community what would happen. The question then becomes, what can we do to mitigate ahead of time? Building a civil defense organization is the answer. It is a resource multiplier for the community. It is the only logical conclusion. And in preparing for a “worst case” disaster, the community is preparing to be more self-reliant in any scale disaster. There is no downside to preparing for the worst. Meanwhile, FEMA should develop a similar “worst-case” EMP/GMD TTX for the state and federal level which will reveal the problems the higher levels will face. For example, there are 99 nuclear reactors in 30 U.S. states – and they all have only a limited quantity of back up fuel for their generators. What is the plan to cool the spent fuel rods after 3 months and 6 months? Another example, federal and state employees will stop showing up to work if they feel their families are endangered, so the resources we think we have may not be there. The 6 U.S.C. § 321P (national planning and education) TTX is necessary if we are to have stronger and more resilient communities – as well as collectively become more resilient as a country. Presently few, if any, would argue that the United States is prepared for a long term EMP or GMD grid outage. The vast majority of our communities and local governments have never even thought about it. I believe that your vision of having a preparedness culture in the United States is achievable. It is not only achievable, but it is necessary for the safety of our communities and the national security of our country. The only thing stopping most communities, local governments and local emergency managers from starting or supporting local civil defense organizations is that they don’t know that they should. Everybody is waiting for FEMA to tell us what we should do. FEMA needs to tell us that starting a local civil defense program (either non-profit or government sponsored organization) is a good idea. Even better, tell us that it is what we should do. Communities are literally waiting for this guidance. I have attached a proposed bi-partisan Congressional resolution (H. Res. 762) which contains language which is very useful. It would be of great educational value and assistance to local governments to see something like this from Congress – or at least as a statement to this effect from FEMA. Although this resolution never made it out of committee, a good idea does not need to pass Congress to be a good idea. Encouraging communities to develop their own “civil defense” program is just a good idea. FEMA should create a local EMP/GMD TTX scenario with the goal of teaching communities what could happen in a worst case national scale emergency in accordance with 6 U.S.C. § 321P(1) and (2). FEMA should create a state and national level EMP/GMD TTX scenario with the goal of informing higher levels of government what could happen in a worst case national scale emergency in accordance with 6 U.S.C. § 321P(1) and (2). As you mentioned in your November 30, 2017 testimony to Congress, we need to partner with the Department of Education to start the preparedness culture with our children. This needs to be implemented at a local level – civil defense subjects for students should be taught, including survival skills, first aid, etc. Citizen Corps should be replaced by a simple structure to support building local civil defense organizations. (As streamlined and unbureaucratic as possible.) This support structure should help communities start an organization, apply for grants and support their efforts. 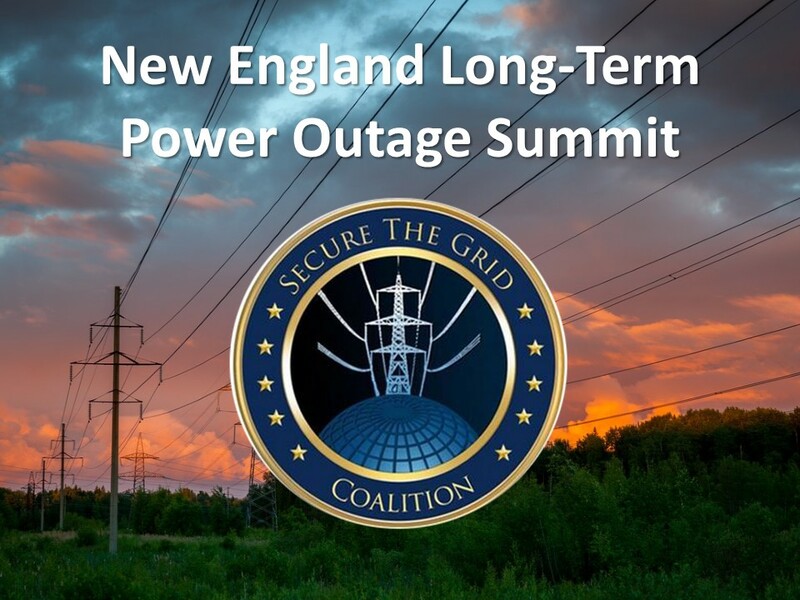 The Secure the Grid Coalition and InfraGard are two groups FEMA could partner with. They have many experts and large quantities of research materials available on EMP, GMD as well as other electric grid threats and security. These groups may be of assistance in developing the 6 U.S.C. § 321P TTXs. I would be happy to meet with you to further discuss how we can build a true culture of preparedness in the U.S.
 “Hurricane Katrina and Hurricane Maria were both “best case scenarios.” October 21, 2017. https://michaelmabee.info/best-case-scenarios/ (accessed March 7, 2018). Senate Report 115-12. Activities of the Committee on Homeland Security and Governmental Affairs. (115th Congress) March 28, 2017. https://www.gpo.gov/fdsys/pkg/CRPT-115srpt12/pdf/CRPT-115srpt12.pdf (accessed March 6, 2018). Page 6. According to FEMA’s website, 70.8% of the fire departments in the U.S. are volunteer organizations. See: https://apps.usfa.fema.gov/registry/summary/ (accessed march 5, 2018). According to USA.gov, one-third of the States indicated that the majority of EMS agencies that respond to 911 emergencies with transport capability are considered to be volunteer agencies. See: https://www.ems.gov/pdf/National_EMS_Assessment_Demographics_2011.pdf (accessed March 5, 2018). “FEMA Administrator Brock Long: Time to hit the reset button on resiliency.” December 9, 2017. https://michaelmabee.info/fema-administrator-brock-long-resilient/ (accessed March 7, 2018). Public Law 114-328, enacted December 23, 2016. Note: Section 1913. EMP and GMD Planning, Research and Development, and Protection and Preparedness. https://www.gpo.gov/fdsys/pkg/PLAW-114publ328/pdf/PLAW-114publ328.pdf (accessed March 7, 2018). 6 U.S.C. § 321P (1). Note: the terms “EMP” and “GMD” are defined in 6 U.S.C. § 101. 6 U.S.C. § 321P (2). USA.gov: “Starting a Nonprofit Organization” https://www.usa.gov/start-nonprofit (accessed March 5, 2018). InfraGard. https://www.infragard.org/ (accessed March 5, 2018).